Do you want to get paid $100 per survey that you complete online? Well, this might be difficult, but it is possible! Typically, you will not get paid $100 per survey but many will pay you $10 to $50 per paid survey. Completing surveys is one of the most popular ways to make money online that people seem to love. Unfortunately, most paid surveys don’t pay much – typically $1 – $5 per survey. But it is possible to find sites that pay $100 per survey! Most of these paid surveys can help you make a few hundred dollars a month. But that is about it! Completing these paid surveys is never going to replace your full-time income. So is it possible to get paid $100 per survey ? Believe it or not it is possible to get paid $100 per survey. However, this is very unusual. There are many paid survey sites that claim you can make $100 per survey but I have NEVER managed to do this! Here are a few of my favorite paid surveys sites that do pay a few dollars per short survey. These sites are 100% legit! Survey Junkie is one of the most well-established and popular paid survey sites online. I have used Survey Junkie for a few years now and I have never been paid $100 per survey! A dollar or two is more like it! They do apparently offer surveys that pay up to $50. I love Survey Junkie and we have made money with them. They are a legitimate site that actually pays you – which is a great start. The surveys are very transparent. They show you how long it will take you to complete a survey and how much the survey will pay you. There are plenty of surveys to complete and the questions can be quite varied – which is nice because a big downside to completing these paid surveys for money is that the questions can be so repetitive. Survey Junkie does a great job of screening you to make sure that you are a good fit for any of the paid survey opportunities that they offer you. This is very much appreciated because there is nothing worse than starting a survey, spending time on it just to be told that you are not qualified for it. Survey Junkie is 100% free to join. Sometimes they even give a bonus for signing up. We tested Survey Junkie for a few weeks and wrote a full review of our experience with it. We highly recommend adding Survey Junkie to your list of paid surveys to try. The more sites you join, the more money you can potentially make. We have a few tips and tricks for maximizing your income from paid surveys. We actually wrote an entire post about ways to ensure that you are squeezing every dollar from the surveys! You can read that article here. If you want to give yourself the best chance to make $100 per survey – be sure to follow these tips! 1. You will need a PayPal account. PayPal is essential if you want to make money with paid surveys. Almost all the paid survey companies will pay exclusively to PayPal. You can set up an account for free very easily. Most paid survey sites will email you daily to notify you when a survey that you qualify for is available. This is a great thing, but it can quickly dominate your main email inbox. This is why I always tell people to setup a new email account that is exclusively used for paid surveys. These are many really great paid survey sites (e.g. Survey Junkie). Unfortunately, there are also a lot of scam sites that just sell your email to unscrupulous advertisers. Do not fall for these sites! You can usually tell if they just keep redirecting you to weird spammy offers or ask you to pay for membership. You need to be a member of as many paid survey sites as possible if you want to make significant money by completing paid surveys. The problem is that each survey company will probably not have enough paid surveys available at any one time to keep you constantly working. That is why you need to have as many sites as possible all offering you the latest survey opportunities that they have. 5. You will get lots of emails so always be checking! Once you have signed up you can expect to get lots of emails that are inviting you to complete surveys. Usually the email will tell you that a new survey is available and how much you will get paid for completing it. There is a limit to the number of people that can complete a paid survey. If you are not checking your email inbox regularly then you will most likely miss out on the opportunities. If you want to make the most money, then we suggest taking the survey as soon as it arrives into your inbox. The low paying surveys that survey sites will show you at the start are really just a test. If you complete these honestly, they will often start showing you the higher paid surveys. That is one of the biggest secrets in the paid survey industry! They ask you the same questions to see if your qualified at the start of every paid survey. If you are not consistent with those answers, then you will be unlikely to get offered anything close to $100 per survey. This is another big secret that you should be sure to keep in mind. Quite a few people will answer all the questions on a survey and then just navigate away. This is a bad idea because you might end up not getting paid for all your work! Make sure that you stay until the survey is definitely 100% finished! This is another tricky one. A certain percentage of people will do one or two paid surveys and that is it. These people will be unlikely to get paid for their time because they have to meet a certain minimum payment threshold. This is often set at $10 or $20, so make sure you at least get your account to this level to be able to cash out. 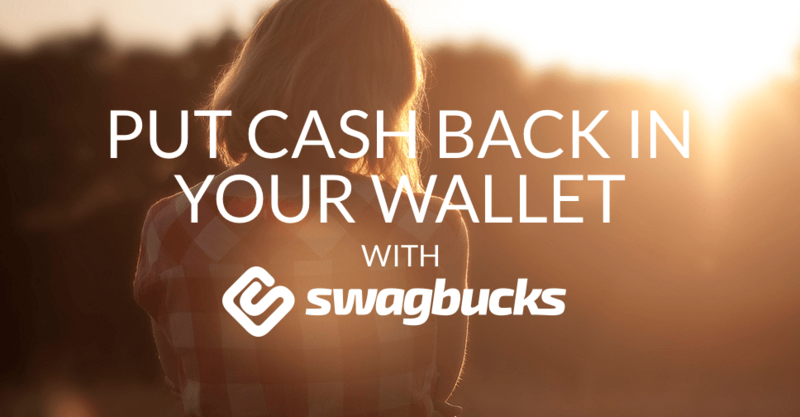 If you haven’t heard of Swagbucks then I don’t know where you have been! They are one of the most popular survey sites online. They don’t have surveys as far as I know that pay $100 per survey, but they claim to have some that pay as much as $50. You can get paid for a lot more than just surveys though. They pay you to browse the internet through their search tool and get paid for it. You can play games and watch videos to get paid as well! Usually, they offer a $5 sign up bonus for new users along with a completely free and quick registration process. Vindale Research is another of our favorite paid surveys. I have seen surveys that they offer pay up to about $50 per survey. I doubt that there is very many that offer $100 per survey, although it is not impossible! Vindale offers the highest paying surveys that are the quickest to complete (although Survey Junkie is a very close competitor!). The site is very easy to navigate and the surveys pretty simple to complete. We highly recommend signing up! While it may be quite difficult to find sites that plenty of sites that offer some great paid surveys. There are sites that will pay $100 per survey if you fit the exact demographic that they are looking for. We have tried to give you three of the top paid survey sites in this article. We have tried all of the three sites and we know that you can count on them to help you make some extra money. Do you know of any survey sites that will pay $100 per survey? Leave a comment with links to the sites below!